Going out on Valentine’s Day sounds romantic — wine service, beautifully composed courses, flowers on white tablecloths. But in execution, it’s often less than perfect. Expensive. Crowded. Babysitters are booked, servers are stressed, and if you didn’t plan ahead, you may not get a reservation at your favorite place before 9 pm. This year, make it a simple romantic dinner for two with one of these easy main course ideas. Pair one of these with a simple salad (such as Boston bibb with radishes and buttermilk dressing, citrus, celery and fennel, or Lidia’s radicchio, goat cheese and raisin salad), a bottle of sparkling wine and a purchased pastry dessert. These beautiful chops have as much going for them as a delightful first date. Marinated with brown sugar, rice vinegar, ginger, Sriracha, sesame oil, garlic and orange, these chops are rich and flavorful, but inexpensive enough to allow for a box of artisan chocolates for dessert. This simple flank steak becomes more tender with a lengthy marinade, at least eight hours (but overnight is fine too). The ingredients in the marinade, including rosemary, garlic, balsamic vinegar and red wine, are usually on hand. Seafood is a classic for a romantic dinner. This lovely recipe from Epicurious resembles paella, with lovely mussels, clams and shrimp. Even a simple risotto with just shrimp would be a lovely weeknight dinner, made with whatever wine you’re pouring (ideally a dry white). Posters rave about the olive relish, and though it’s technically a one-pot dish, recipe testers recommend cooking the seafood separately from the rice to make sure everything comes out right. Duck is a bit of a splurge, but it’s worth it for a special occasion. This recipe from Food52 takes the French bistro classic, duck confit, and simplifies it for an easy weeknight meal. 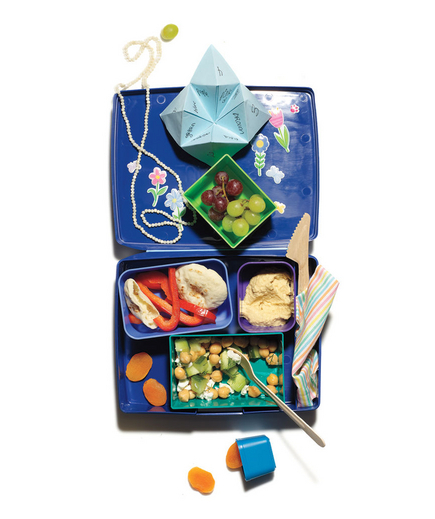 So find a plan for the kids and take the time to enjoy your own special Valentine’s meal at home. We hope you enjoy these simple yet special recipes. All the best for a Happy Valentine’s Day! Turkey burgers get a bad rap, either for being a too-healthy or for the (legitimate) reason that they’re often dry and less flavorful than their beefy counterparts. But with a hot grill and an open mind, there are ways to combat both of these problems. 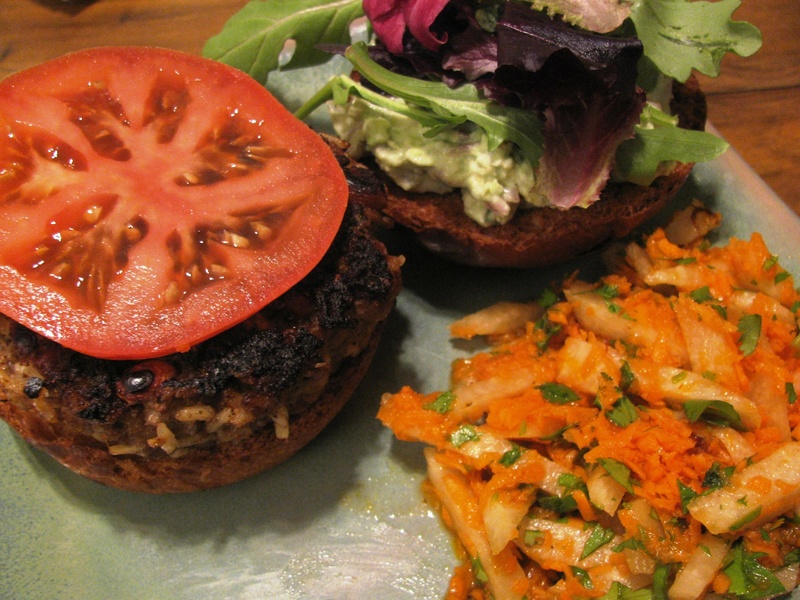 Turkey burgers don’t have to be boring just because they’re better for you. 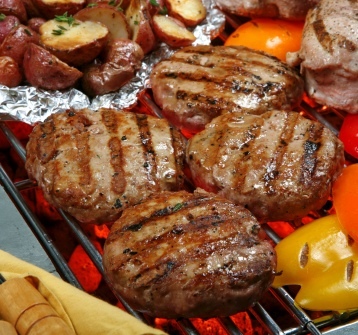 Five Tips for Perfect Turkey Burgers! 1. Go to the dark side. 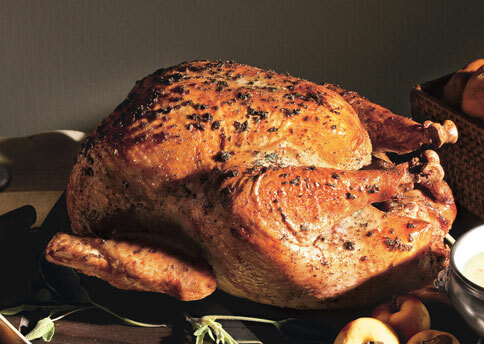 Turkey, like chicken, has white and dark meat sections. The breast is only slightly better for you, (says New York Times writer Anahad O’Connor), while the dark meat (thighs and legs) will make for a more flavorful burger. So leave the “extra lean” Jennie-O for when you’re counting calories and get regular ground turkey; it still has 30 percent less fat than beef. 2. Carbo-load. Whether it’s fresh bread crumbs, flaky panko or even leftover rice and canned beans, turkey burgers benefit from a little filler. You don’t want too high a ratio, unless you’d rather make meatloaf, but bread acts as a binder and helps hang on to extra moisture, which will make the burgers juicier. 3. Spice it up. Turkey loves Southwestern spices, like serrano chiles, garlic and cumin. Take a riff on a steam bun with an Asian turkey burger (care of Serious Eats) made with cilantro, soy sauce, ginger, sesame oil and spicy Sriracha mayonnaise. Or make a detour through Oaxaca with coriander, cinnamon, ancho chili and chipotle salsa (thanks to Lynn Rossetto Kasper and “The Splendid Table’s How to Eat Supper”). And what’s better than a burger stuffed with cheese…? 4. Flip it. You may have heard conflicting evidence on this, but it’s actually OK to flip a burger more than once, and it may even lead to a faster cooking time. Keep an eye on your flame (medium-high is good), and estimate about 10 minutes for a juicy burger. Give the burgers a few minutes to rest while you throw your buns on to toast. 5. Mix up your toppings. Step off, ketchup. Try smoked gouda cheese and a horseradish-mustard-honey spread. Try tomato-mango chutney made with cilantro and lime. Combine tomato, jam, olives and feta for a sweet-salty topping, or take a North African twist with a yogurt-based dressing with lemon juice, cumin and cayenne. 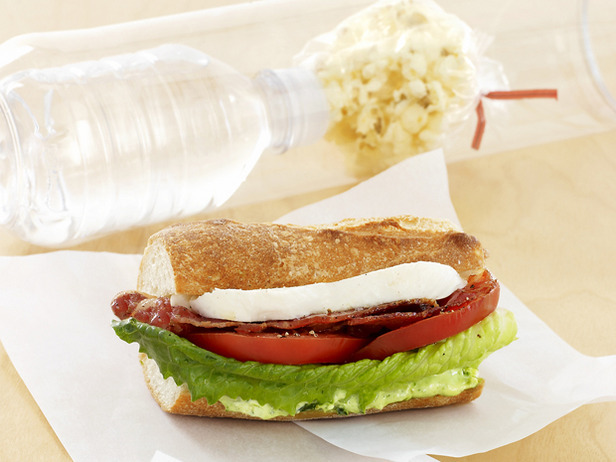 Let’s Eat Leftovers – It’s Easy & Delicious! Ham is amazing. It can be a main dish on its own, a side dish, or an ingredient in a larger recipe. It is equally welcome at breakfast, lunch, or dinner. It can add a touch of salty, smoky goodness to fancy French cuisine or simple, down home favorites. Nothing says comfort food like a flaky, warm pot pie. For an updated version of the old standby, try this pot pie, stuffed with chicken, ham, and fennel from Bon Appétit! Ham makes breakfast better! 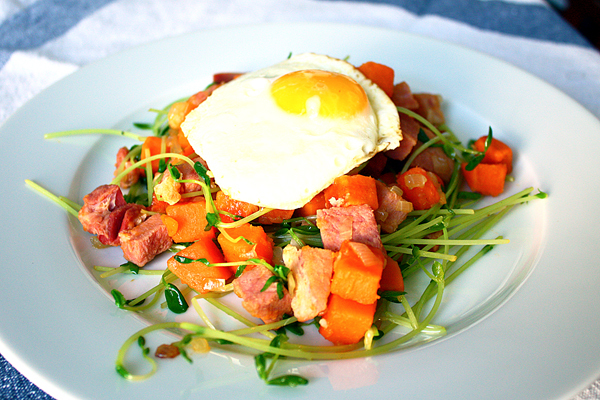 Fry up some leftover ham, sweet potatoes and eggs for a fabulous dish to spice up your day. Hosting a brunch or need an easy dinner? 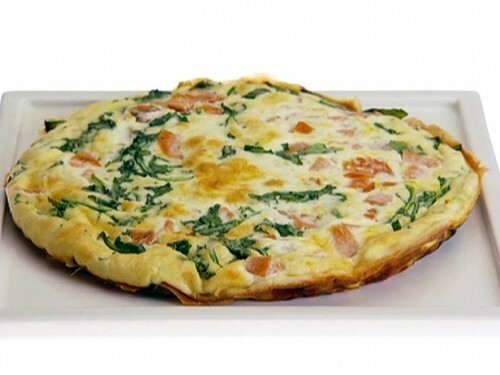 Serve this “green eggs and ham” frittata, filled with leftover ham, nutty gruyere cheese and fresh spinach shared by Food & Wine Chef, Melissa Rubel Jacobson. Serve this hearty Food Network Magazine Corn and Ham Chowder with some warm crusty bread and you have a perfect dinner. Be sure to use fresh corn – it will make a huge difference in your chowder! Rachel Ray marries ham and cauliflower a creamy, cheesy and savory casserole that’s as easy to make as it is delicious! Helping your holiday ham taste its best. Sometimes foods with distinct flavors need counterpoints to bring out the best taste combinations. Whether it’s strong coffee in barbecue sauce, a pinch of hot pepper in Mexican cocoa, or a splash of balsamic vinegar on a bowl of freshly sliced strawberries, these culinary marriages will delight your taste buds! Such is the case with ham. . . salty, smoky, and succulent it pairs wonderfully with sour fruit (pineapple, orange, cranberries, currants, rhubarb), sweet elements (brown sugar, maple syrup, honey, even cola!) and spices (cloves, mustard, allspice, ginger, cinnamon). Your guests will enjoy ham with a new twist, using one of these tasty glazes. 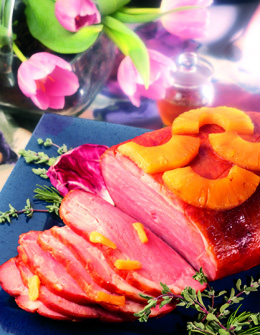 Not only will it give your ham a delicious flavor, the glaze keeps it moist and juicy while it bakes. Which one will you try first? Honey Balsamic Fig or Pineapple Honey Adobo (right) from The Nibble. Rhubarb and ginger combine to give this Bon Appétit Baked Ham with Mustard-Red Currant Glaze and Rhubarb Chutney some kick! If rhubarb is difficult to find, try mango for an interesting twist. 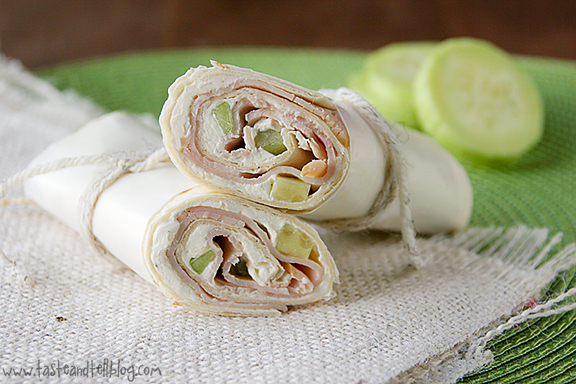 The perfect blend of sweet and spicy – and so easy to make! This great recipe for Pomegranate Jalapeno Glazed Ham comes from chef Akasha Richmond of restaurant Akasha in L.A., care of Food & Wine Magazine. A gThankYou! 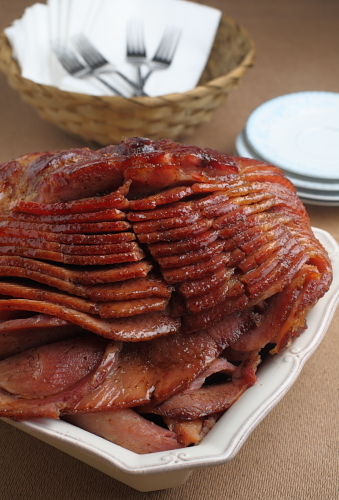 favorite from Minnesota’s own Lucia Watson; Cider-Soaked and Brown Sugar Glazed ham from her cookbook, Savoring the Seasons of the Northern Heartland. 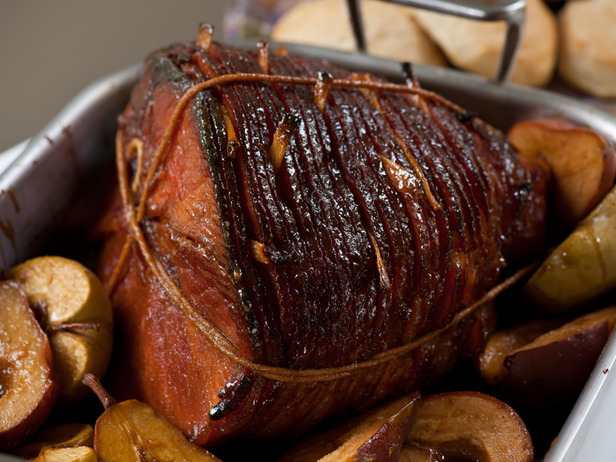 Sugarcane Baked Ham with Spiced Apples and Pears. (Thanks to FoodNetwork.com.) This glaze gets its sweet notes from molasses, corn syrup and sugar cane! Enjoy! Let us know your favorite ham glaze we forgot to include.